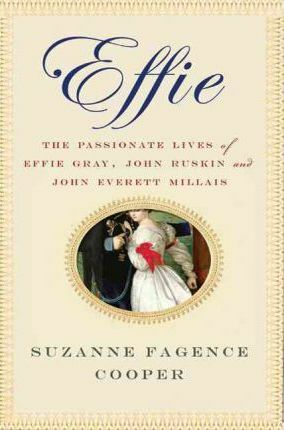 Effie Gray, a beautiful and intelligent young socialite, rattled the foundations of England's Victorian age. Married at nineteen to John Ruskin, the leading art critic of the time, she found herself trapped in a loveless, unconsummated union after Ruskin rejected her on their wedding night. On a trip to Scotland she met John Everett Millais, Ruskin's protege, and fell passionately in love with him. In a daring act, Effie left Ruskin, had their marriage annulled and entered into a long, happy marriage with Millais. Suzanne Fagence Cooper has gained exclusive access to Effie's previously unseen letters and diaries to tell the complete story of this scandalous love triangle. In Cooper's hands, this passionate love story also becomes an important new look at the work of both Ruskin and Millais with Effie emerging as a key figure in their artistic development. "Effie "is a heartbreakingly beautiful book about three lives passionately entwined with some of the greatest paintings of the pre-Raphaelite period. SUZANNE FAGENCE COOPER is a research fellow and curator at the Victoria & Albert Museum. She has also worked as a consultant for the BBC. Suzanne lives in London and York.